About as much as any sport, baseball in steeped in history; with records set by highly skilled, but non steroidal players. 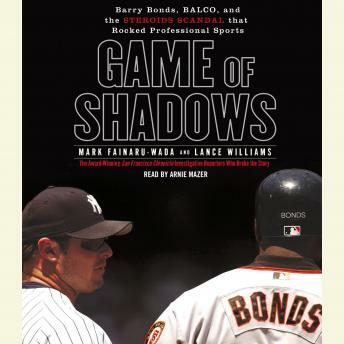 Mark McGuire and Barry Bonds changed all that.....and this book is a fascinating documentary of how that all happened and what they ingested to make them into supermen. You do not have to be a big baseball fan to enjoy this one. This audiobook talks too much about track and field "stars" (who follows track and field?) and not enough about Bonds. It provides explicit details and facts about BALCO and its clients. It is worth renting if you are a baseball fan, but be warned of the large dose of track and field stuff.